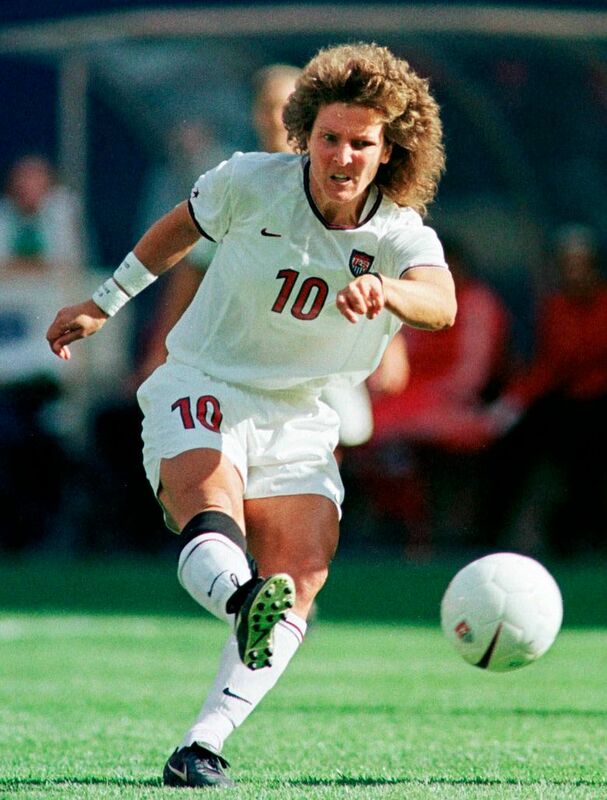 If there was a Mount Rushmore of the greatest U.S. women's soccer players, Michelle Akers would be the George Washington. Akers, a Shoreline native, helped put U.S. women's soccer on the map. Now, she lives on a farm in Georgia and is devoted to her other lifelong passion: horses. 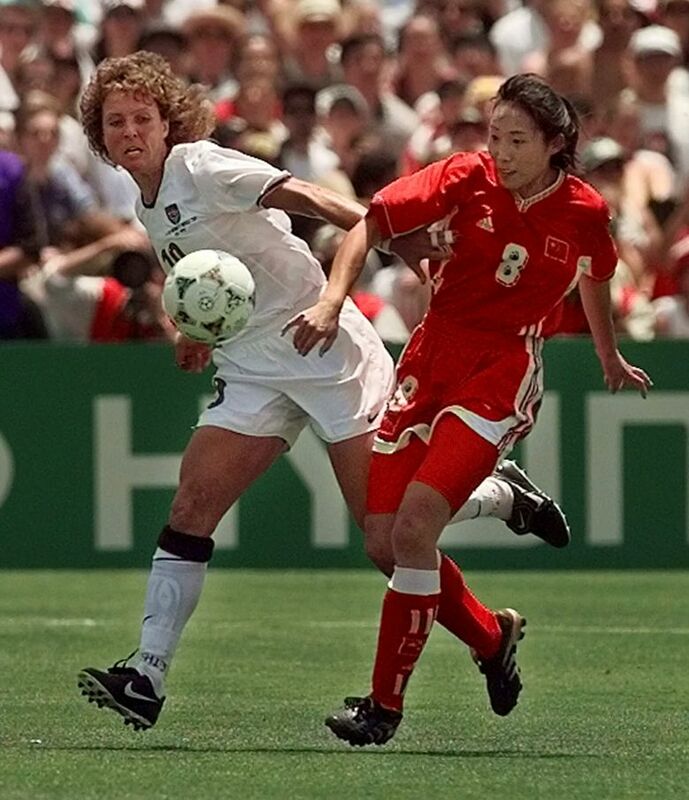 Long before Michelle Akers became one of the greatest soccer players in history, even before she started scoring goals at a mind-boggling rate at Shorecrest High School in Shoreline, she had a passion that had nothing to do with sports. She wanted to have horses. “There was definitely no money for horses when I was young,” said Akers, 52. “We were just making it, duct-taping my cleats together for as long as the duct tape would stay and hold things together in order to play soccer. But it was always my dream to have horses someday. And if you understand that passion, then you can understand her life. 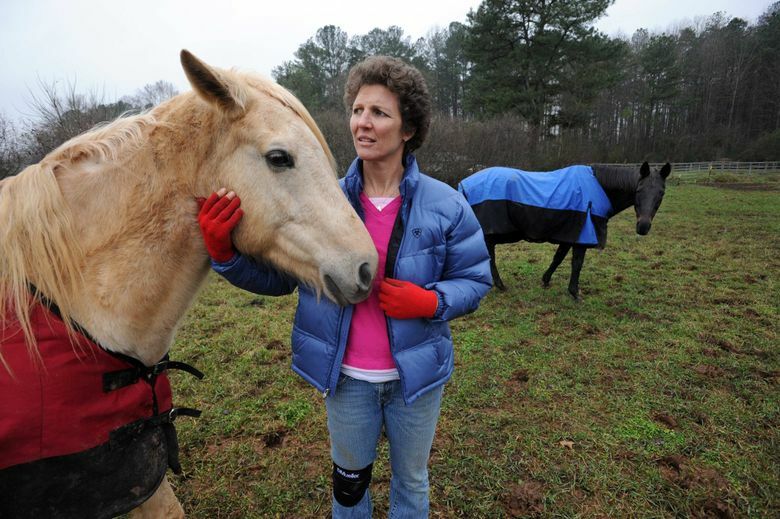 Akers lives on an eight-acre ranch in Powder Springs, Ga., about 30 miles outside of Atlanta, where she cares for abused and abandoned horses, along with occasional other animals. She has tackled the cause of helping animals in need with the same fervor with which she used to tackle opponents, when her physical style of play made her nearly impossible to stop. Akers got her first horse in 1996, but it was in 2007 when she got Zoe, that her life changed forever. She got Zoe, who had been abused and starved, from a local animal shelter. With Akers’ care, Zoe recovered fully. 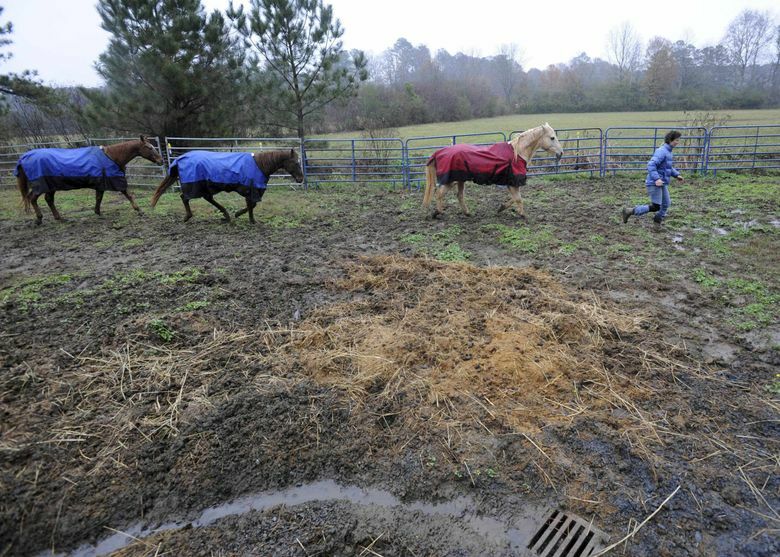 “That is when I started horse rescue as an official nonprofit (business),” Akers said. She threw herself into saving horses, showing the same passion and desire that helped propel her to soccer greatness. Akers has seven horses she is tending to, and one pygmy goat (down from four), and she once even took in a pig. She also works with a much larger horse sanctuary in Florida, and wants to have an impact nationally. And to do that, she has a plan that involves her first love: soccer. On the Mount Rushmore of the greatest women’s soccer players, Akers would be the George Washington. You can make the argument that there have been greater players since, but there is no disputing that she was North America’s first great star. Akers said her family moved from California to Lake Forest Park when she was “10, 11” and became a star with her first team, the Shorelake Thunderbirds, before becoming a three-time high-school All-American at Shorecrest, leading her team to a state title as a junior and to the runner-up spot as a senior in 1984. But West Coast universities did not have Division I soccer programs for women, just non-scholarship club teams. Had Washington had a Division I team that offered scholarships, Akers said she likely would have stayed in Seattle. Her gut did not lead her astray. She was a four-time All-American for the Golden Knights, and by the time she left she was already a star on the national team. A member of the first U.S. National team in 1985, she led the U.S. to victory in the first Women’s World Cup in 1991, scoring 10 goals, including five against Taiwan in a quarterfinal match. She also led the U.S. to victories in the 1996 Olympics and 1999 World Cup, despite battling several injuries and dealing with chronic fatigue immune dysfunction syndrome. Akers retired before the Sydney Olympics in 2000 from the effects of a dislocated shoulder she suffered during the 1999 World Cup, when a fan hurt her while she ran a lap with the team after a victory. At that point, she was the second-leading scorer in the history of international women’s soccer, with 105 goals (now 11th all-time). In 2000, she was named FIFA women’s player of the century, and in 2004, she and Mia Hamm were the only two women on FIFA’s list of the 125 greatest living soccer players. “She was the face of women’s soccer,” said Akers’ U.S. national teammate Kristine Lilly, who played in a record 352 international matches and is the fourth-leading scorer in international history with 130 goals. Lilly is six years younger than Akers, who provided a great example. That’s an opinion shared by Tony DeCicco, the coach of the 1996 Olympic and 1999 World Cup teams, when he was asked about Akers over the years. Akers dominated but she always wanted to improve. Akers achieved national acclaim with her accomplishments on the world stage, and she said while those are obviously highlights for her, there were lesser moments that also stand out. “I am doing all these camps with kids and it reminds me of me as a little kid,” Akers said. “Parents always ask what I was like as a kid, and how did I develop and what was my mentality, and all these questions. And now I am thinking, as a kid, maybe that was some of my best times I ever had too. 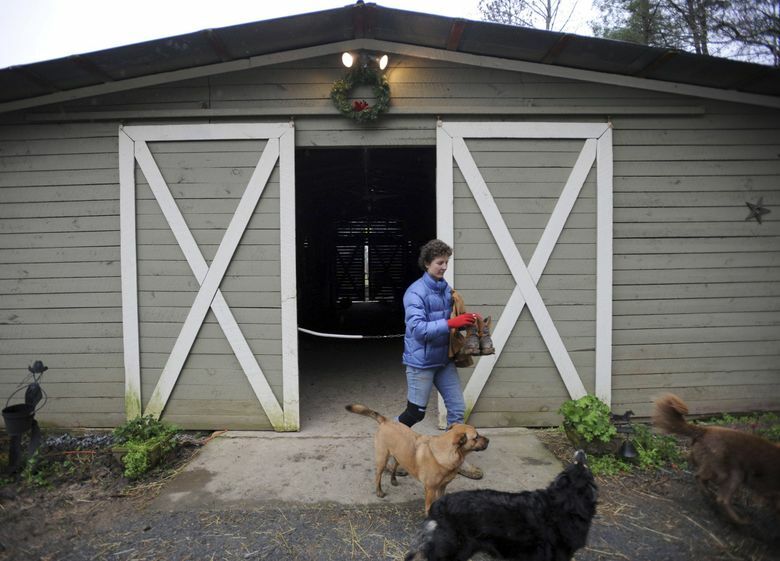 Akers is in constant motion, whether it’s caring for her seven horses or running soccer camps on her eight-acre farm. “It never seems to slow down, even though I am trying to make it slow down,” she said. She has done that, helping raise money for another sanctuary in Central Florida that has over 70 horses and 30 dogs, and connecting people looking to find a horse in need. But her new idea to increase awareness nationally brings her back to her soccer roots. “I am changing the focus, inviting the soccer community to partner with me and the animal welfare community to provide adoptions, and resources and money for these animals because the soccer community is a family, all over the country,” she said, “I’ve been really fortunate to come into contact with a lot of them, from the pros to the youth — and that has been my goal the past couple of years to build that connection. Count Lilly as one soccer star who endorses what Akers is doing. She has been down to Akers’ farm and left with a great impression. “It’s amazing what she does, and the impact that she has on the horses,” Lilly said. Akers often gets back to the Seattle area during Christmastime, and she particularly enjoys being at the cabin her father and stepmother have near Leavenworth. Akers grew up in a big metropolitan ranch and dreamed of living on a farm with horses. 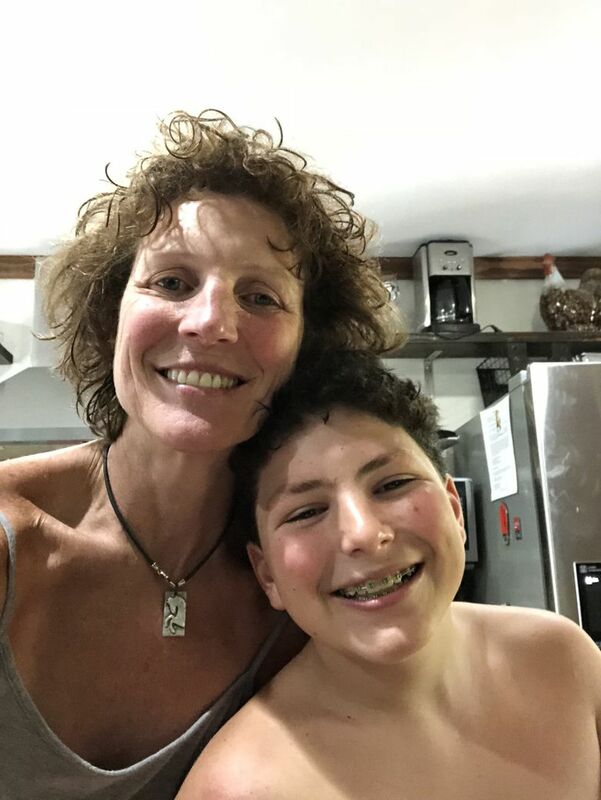 Her son, Cody, 13, has lived on farms all his life, and dreams of living in Seattle. Meanwhile, Mom will carry on her good fight, saving as many horses as she can, bringing the same passion that made her a soccer legend. For more information on Michelle Akers’ horse-rescue business, including how to donate (she is still recovering from a devastating flood in 2009), go to michelleakers.org.